An abandoned kindergarten room strewn with toys. The hollows of an amusement park that was never even used. An eerily vacant high school with its desks still draped in school work. 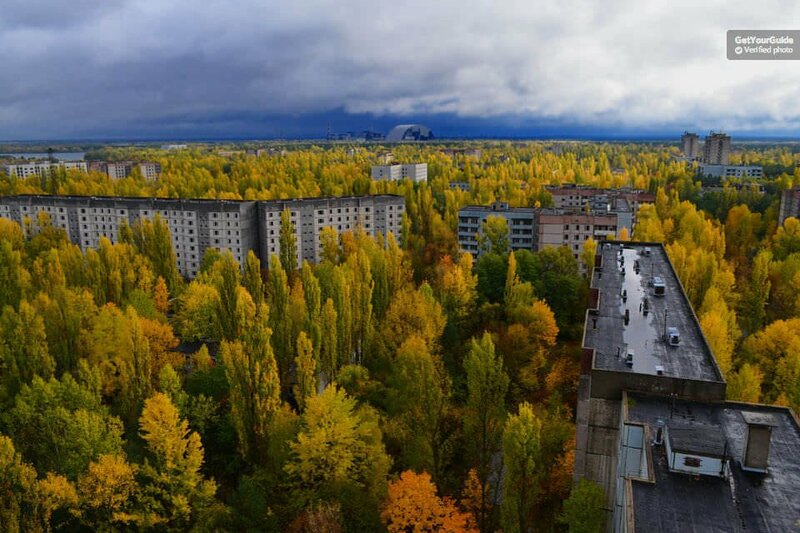 These are the remnants of Chernobyl – a town blasted with 400 times the radiation of the bomb of Hiroshima, over thirty years ago. Today, it lures curious tourists in the tens of thousands. But why? When my husband and I were planning out our itinerary for Eastern Europe a few years back, we decided to include Kiev, Ukraine, purely so that we could visit Chernobyl. Dark tourism intrigued us, and we were keen to learn more about this abandoned place and the disaster story behind it. Chernobyl was a nuclear power plant located in the USSR (now Ukraine) which had a steam explosion in April of 1986. The nuclear radiation released in the days after the accident was truly catastrophic. The nearby town of Prypyat, which was home of many of the power plant workers, was evacuated the day after the explosion and the 50,000 residents were never to return to their homes. Nuclear Reactor no. 4 (the site of the explosion) was covered with a temporary sarcophagus to confine the radiation in the weeks after the explosion, and a new sarcophagus, which has been designed to confine the radiation for another 100 years, was built by the EU and placed on site in October 2017. We chose to see Chernobyl on a 1-day, small group tour which departed Kiev at 8:00 AM and returned around 6:00 PM. We had an English speaking guide, and a driver who transported us via minivan. On the way, a documentary was played to give us a deeper insight into the disaster and prepare us for what we were about to see. Even though I had expected to visit a mostly abandoned and derelict place, the reality was shocking. There were a handful of stops on the tour, including a small town with empty houses being swallowed back up by the forest, an abandoned kindergarten in the Chernobyl township with books and learning materials still scattered about on the desks, and an amusement park in Prypyat that was sadly never used as the town was evacuated before it could open. These confronting scenes are something that I will never forget. 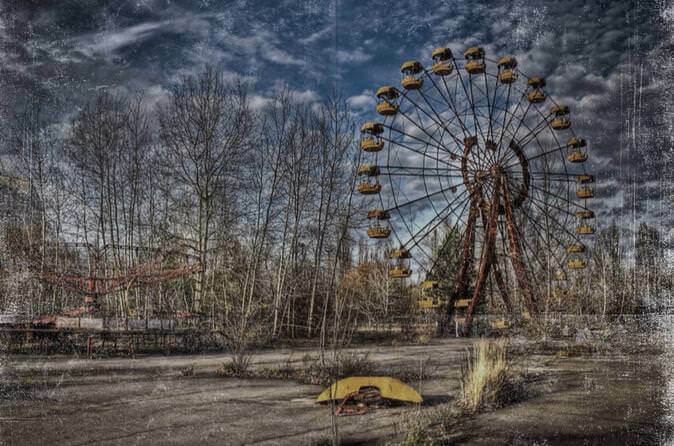 2 Why do tourists visit Chernobyl? 3 Is it safe to visit Chernobyl? 4 Can you visit Chernobyl without a guide? 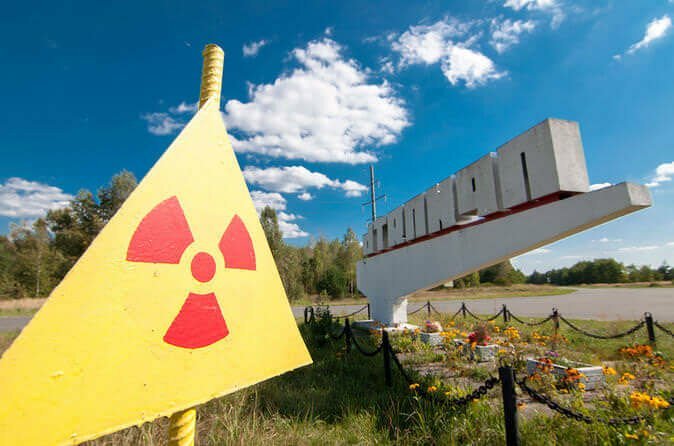 5 How much does a Chernobyl tour cost? Chernobyl is located about 100 km (62 mi) north of the city of Kiev, Ukraine. It takes around 2 hours to drive to Chernobyl from Kiev. The exclusion zone is an area of 2,600 km2 (1,000 sq mi) around the nuclear power plant. This area is considered hazardous and is off-limits to the general public. There are multiple checkpoints that you have to pass through inside the exclusion zone. The area inside the checkpoint closest to the nuclear reactor has the most dangerous levels of radiation. 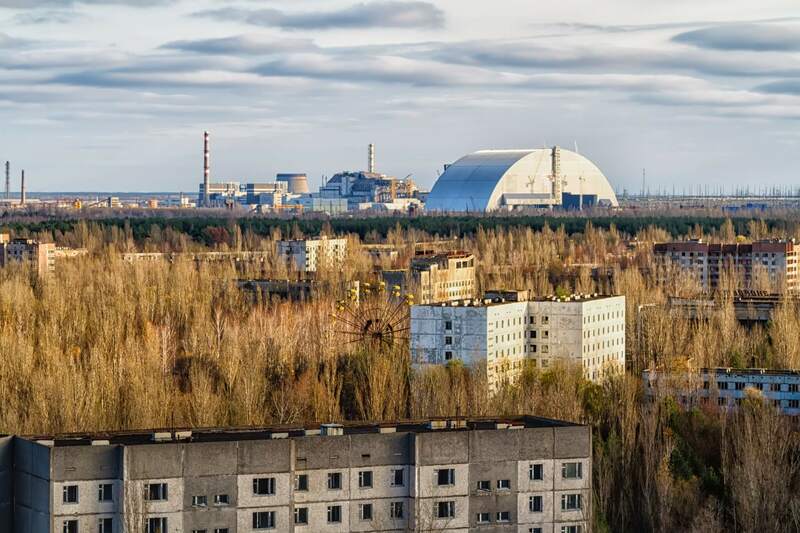 When tourists talk about visiting Chernobyl, we’re generally referring to the power plant itself, but the exclusion zone actually includes a few towns and a large forested area. Tours to Chernobyl will stop by many different places of interest within the exclusion zone. Why do tourists visit Chernobyl? 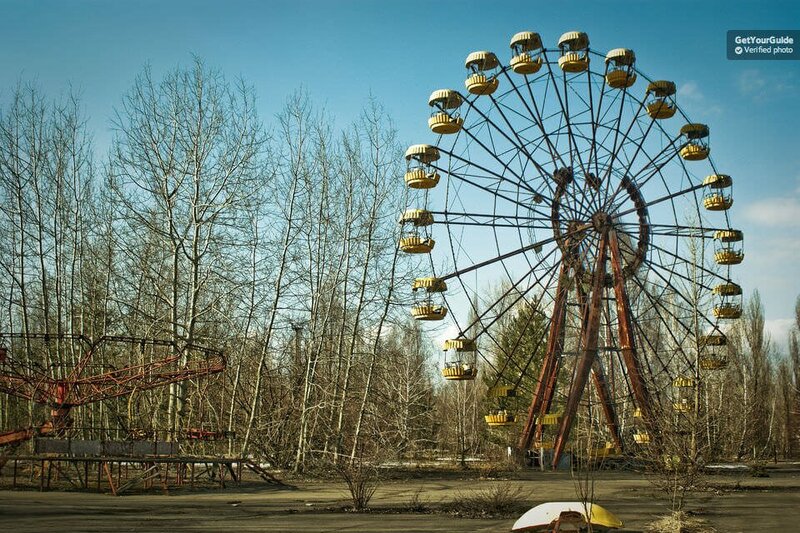 Chernobyl has many appeals for tourists. For me, it was the decay. I was intrigued to explore a place that has been completely abandoned by humans for nearly 30 years. I wanted to find out what an apocalyptic world might look like. My husband’s appeal was the modern history aspect – he wanted to see a place that is frozen in time from the soviet era. Walking through remnants from a culture that no longer exists is a fascinating thing to experience. Others might be interested in the disaster itself, or maybe learn more about the dangers of nuclear power and the effect it can have on the environment if something goes wrong, like it did at Chernobyl. This is perhaps the only place in the world that you can see this first-hand. I was asked this question by many people after my visit to Chernobyl. It’s a valid concern. Radiation sticks around for a very long time, and the exclusion zone is not expected to be safe for humans to live in for the next 20,000 years. 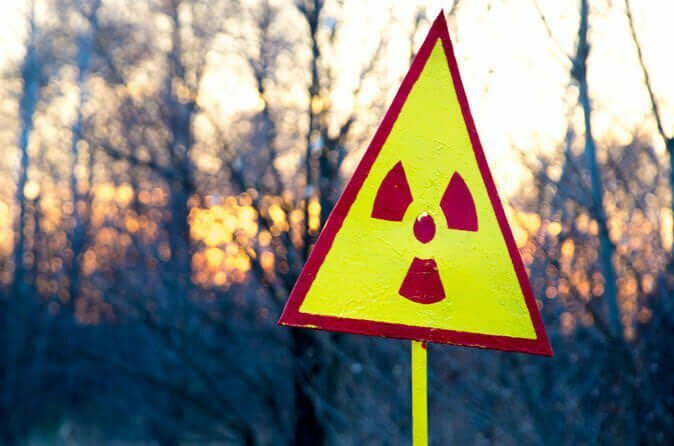 However, radioactivity can be considered mostly harmless in small doses (like when you get an x-ray, or even take a long-haul flight), and the day tours into the exclusion zone mean that you’re only exposed to low levels of radiation for just a few hours. 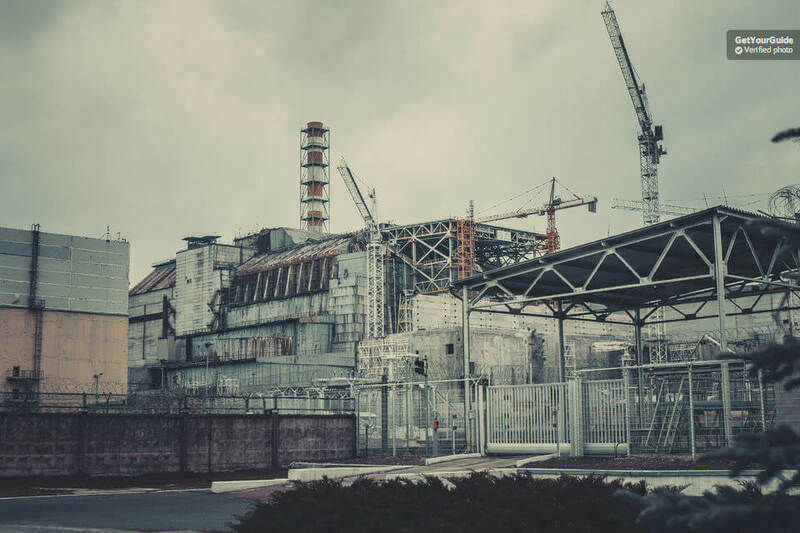 There are around 400 people that actually live inside the exclusion zone, and another several thousand that work in and around the power plant, decommissioning the retired reactors and constructing the new sarcophagus. They manage the radiation exposure by limiting their time in the most hazardous areas, and are also required to take longer breaks away from the site so that their bodies have time to recover. On the way out of the exclusion zone, everyone is required to go through an old soviet radiation control checkpoint. The device required each person to place their hands on either side while it checks your radiation levels. Can you visit Chernobyl without a guide? Tourist entry into the exclusion zone is only permitted with a licenced guide. There are many areas inside the exclusion zone that are still considered very dangerous, and a guide will have the expertise to keep you safe at all times. 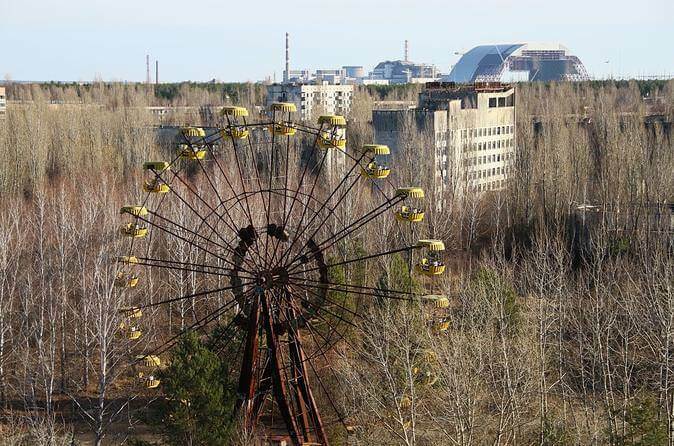 How much does a Chernobyl tour cost? Tours from Kiev cost between $100-$500 USD per person, depending on the type of tour that you choose. The day tour that I booked is $114 USD each, and it's worth every cent. You can browse a variety of tours along with prices, reviews, and booking with immediate confirmation on GetYourGuide and Viator. Flying into Boryspil International Airport (KBP) is the easiest way to get to Kiev, with direct flights from many major cities in Europe including Amsterdam, Vienna, Paris, London, Prague, Frankfurt, Zurich, and Warsaw. If you are already in Ukraine, there are intercity trains that will take you from Lviv to Kiev. Budget airlines are plentiful in Eastern Europe. The easiest way to find cheap flights is to search Skyscanner and select “Entire Month” to visualize prices across a one month period. There are plenty of central accommodations to choose from in Kiev. Being in Eastern Europe, hotels and AirBNBs are surprisingly affordable. When you book your Chernobyl tour, check the confirmation to find your meeting point. My tour departed from Maidan Square, so I booked us a room in a hostel nearby. Many tours will depart from Kiev Central Railway Station, so a hotel closer to the station may be a better choice. Some tours (especially the private ones) offer hotel pickup. The 1-day tours generally last from 10-12 hours, of which 4 are spent driving to and from the Chernobyl site from Kiev. The 1-day tour was packed with activities, however, I didn’t feel as though it was overly rushed or that anything was skipped over. For anyone wanting to experience the exclusion zone at a slower pace, there are 2-day, 3-day, or even longer tours available. I personally think that 2 days would be enough time to see the area. 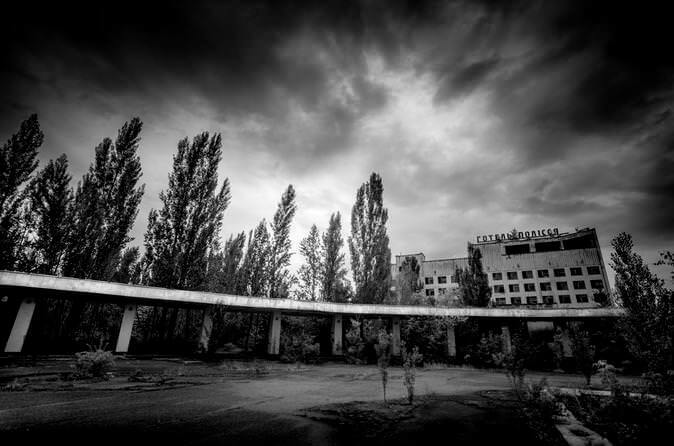 Many people are interested in visiting Chernobyl for the photography aspect, and in this case, I think a private tour would be the best option as you can explore the area at your own pace. This would allow you ample time to set up shots and get great photos. When I was choosing a tour company, I used online reviews to make a decision. SoloEast Travel was one of the highest rated companies on TripAdvisor, and while they weren’t necessarily the cheapest, the price was reasonable. They were an excellent choice. Group size: Small group tours are definitely best for the Chernobyl experience. We had 10-12 people on our tour, which was perfect. Inclusions/Exclusions: Hotel pickup, meals, entrance fees, taxes, and geiger-counter rental may or may not be included in the price of some tours. Flexibility: 1-day tours are really great value, but if you want more time at each place or more options for photography, then consider booking a slower-paced tour for more flexibility. 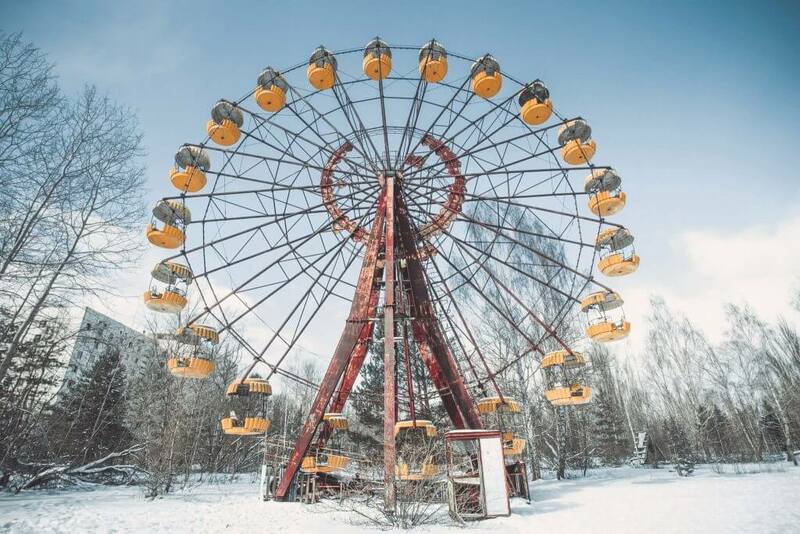 Tours to Chernobyl can be booked year-round. We visited in late November, which was extra special as there was a thick layer of snow which gave the place an eerie vibe. It was also a quiet time to visit – we only ran into one other tour group on our day trip, but for the most part we were the only people in sight. Many people will prefer to visit Chernobyl in the warmer months. The trees in the area are apparently beautiful in fall/autumn, so this might be a great time to go. A rain jacket in case of bad weather. A camera. You can use a smartphone for photos, but if you have a mirrorless camera or DSLR, even better! 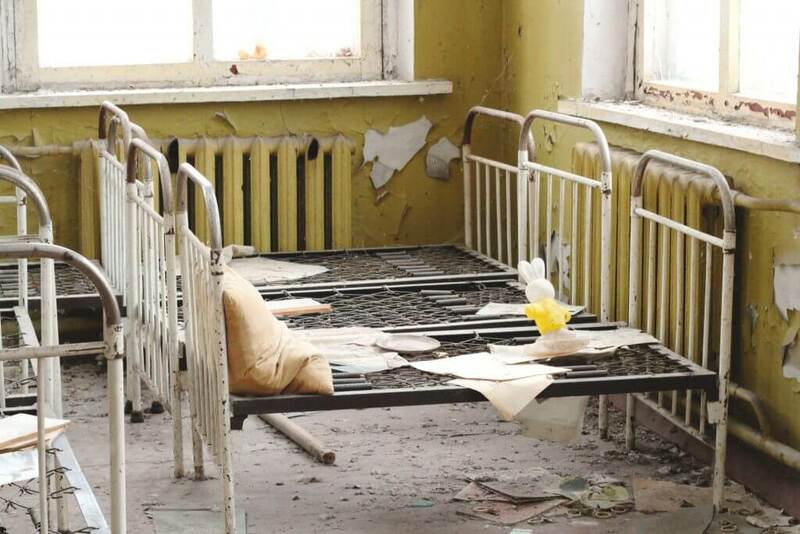 The photos you get around Chernobyl will be mind-blowing. A geiger-counter to measure radiation levels. We rented one from our tour company, which cost an extra $10 but it was so worth it. Quality winter jacket/parka. You’ll spend a lot of time outside in the cold. Scarf, beanie, and gloves to stay warm. Waterproof shoes suitable for walking through snow. Chernobyl is located about 2 hours drive north of Kiev, Ukraine. The exclusion zone has a range of radiation levels, but is safe to visit on a guided tour. 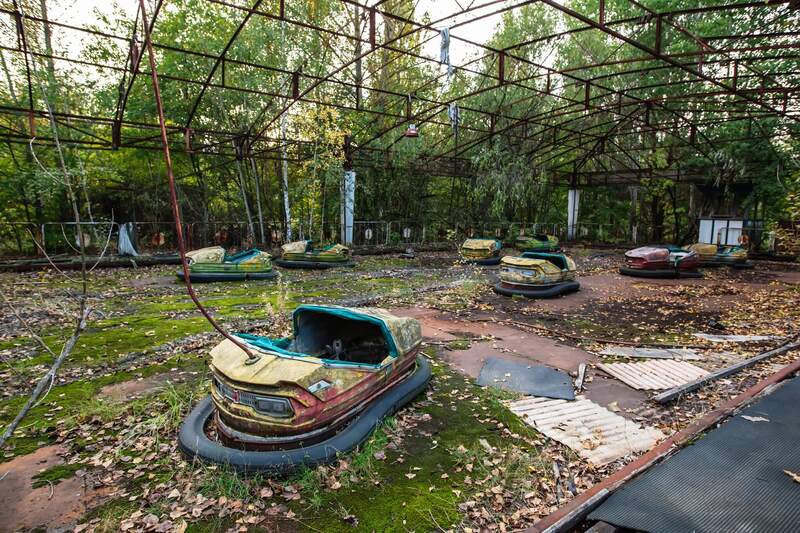 You must book a tour to visit Chernobyl. 1-day, 2-day, or longer tours are available from Kiev. Ashlea is an excitable Australian who loves photography and exploring the world. She's also known for being super-organised, having a stationery addiction, and being a tad obsessed with maps. Her goal is to encourage people to live an adventurous life of work and travel through her blog, A Globe Well Travelled.